No family crest? Would you like something other than your initials? If you believe you have no family crest or you do not know your family crest, you could consider having a different engraving. Of course there is always the option to have your initials in a monogram or cypher. 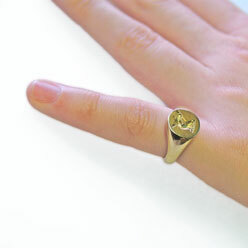 Or, you could have a beautiful signet ring which has been engraved with a logo, emblem or something which is special and unique to you. A beautiful kingfisher makes this lady’s ring really special. 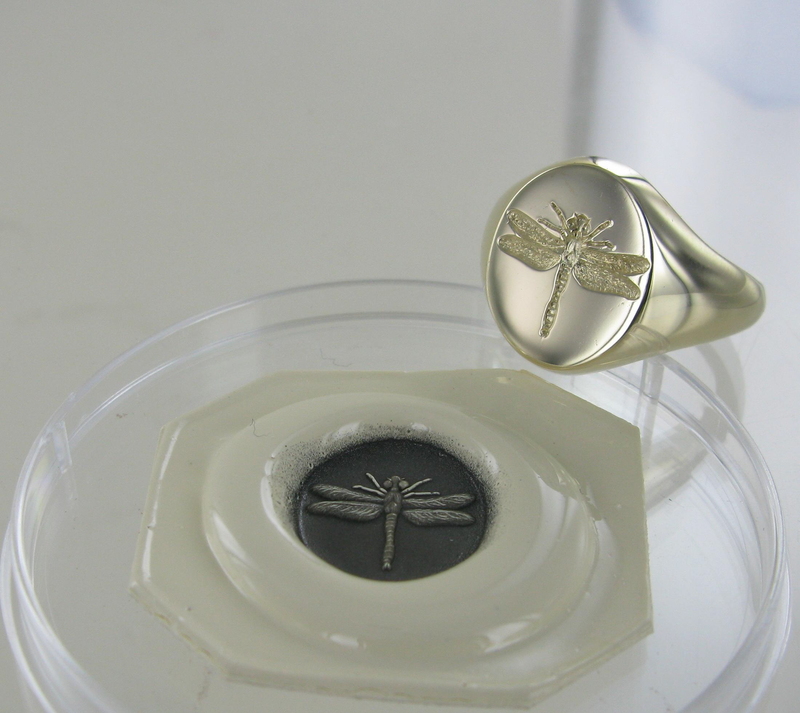 Our engravers do not ‘stamp’ the engraving, they use fine tools with diamond tips to carve the gold, gemstone or silver out of the ring to make a reverse engraving.. So they can see how the engraving is coming along, they use something a bit like blu tack or plasticine to push into the ring every few minutes so they can see the engraving forming and make adjustments as necessary. This is a breathtakingly fine art, and the best engravings are made by the most skilled craftsmen we can find. 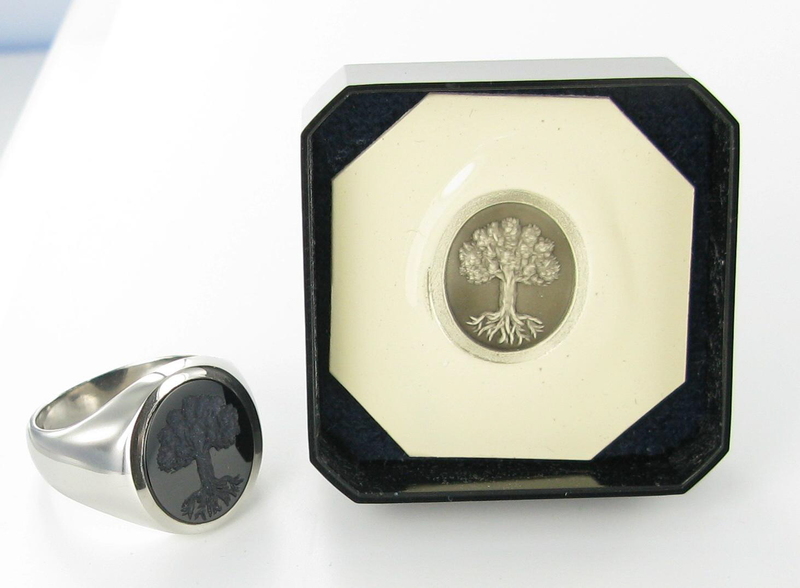 At Signets and Cyphers, we can help you find or choose an image to be engraved on your ring. 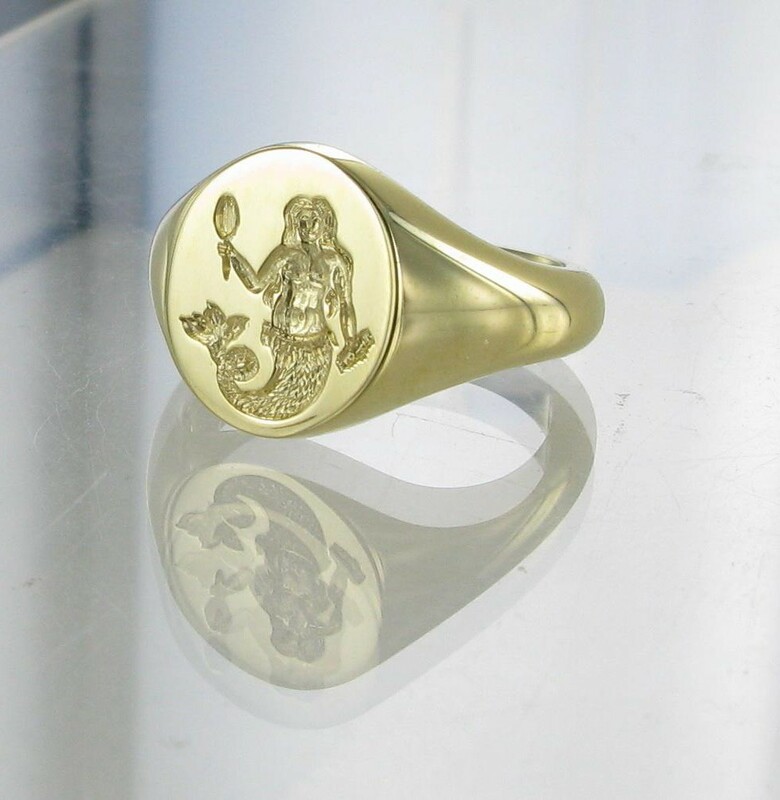 We can advise you on which engravings will look best and which will not work on a signet ring or perhaps on that shape of ring. So really it’s time to let your imagination go wild – unleash your creativity and get something amazing made just for you! 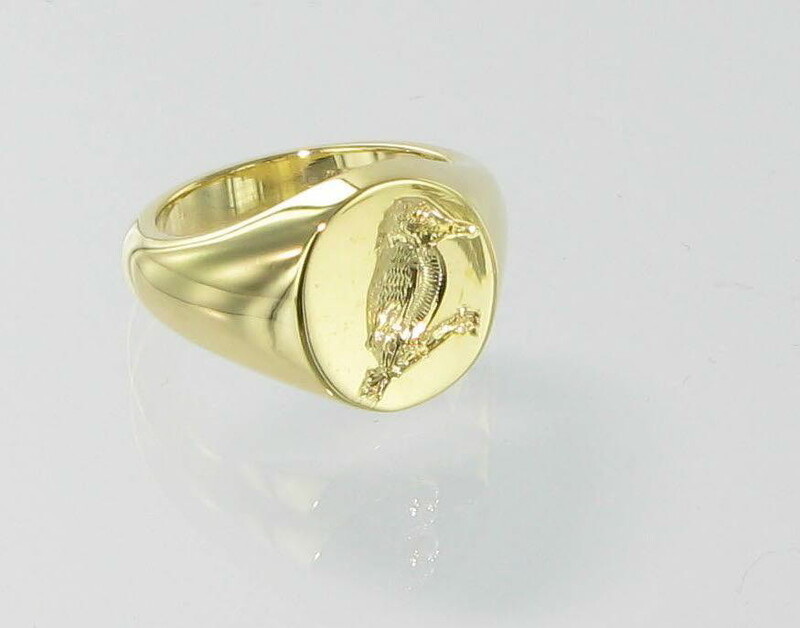 Which way around should your wear a signet ring? My personal feeling with this is that you should do whatever is most comfortable for you. However the general consensus is that you should wear them on your non leading hand and with the bottom of the crest nearest the base knuckle or your wrist. As far as I know the British Royal Family tend to wear them this way. Traditionally one would create a seal by rolling your hand outward and impressing into the wax. Rather than making a fist and pressing down vertically from above. This way the crest will be the correct way up. There is more control in the former method and you can use your other hand to assist and gently apply pressure in the right areas to get a good seal. Which way around to wear a signet ring?